In order to start protecting your identity, you must first know 1) what exploitable personal information you possess and 2) where they are. These are the first and second Identity KAOS principles. In every battle, you need to know your opponent (in this case, identity thieves), as well as their intentions and targets before defensive or protective measures can be put in place as part of your overall identity protection plan. In the case of identity theft, you must also identify your information (the target) and know exactly where they are at all times. 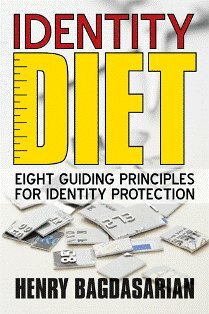 As a starting point, an inventory of all your information assets such as credit cards, social security card, passport, birth and death certificates, and online accounts along with the related information such as issuer name, frequency of statements, address, phone number, account number, and date of issuance must be taken to create a complete list of all your identity components. Then, locate where they are and include their location on the list. Knowing where your personal information is such as in your wallet, briefcase or office drawer along with the related information such as third party contact information can help you protect them accordingly and quickly report and recover from a case of identity theft. Once you get to know your information, go to the second step of the KAOS™ principles, "assess your information".